Greetings, Stampers! It's Sunday again and time for another awesome challenge from The Paper Players! 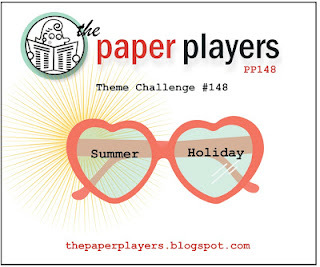 This week Jaydee has a theme challenge for us: Summer Holiday. Where I am in New York, we are having a sudden heat wave with temperatures in the 90's every day, and it certainly feels like summer. It's about time! I love the warm weather. 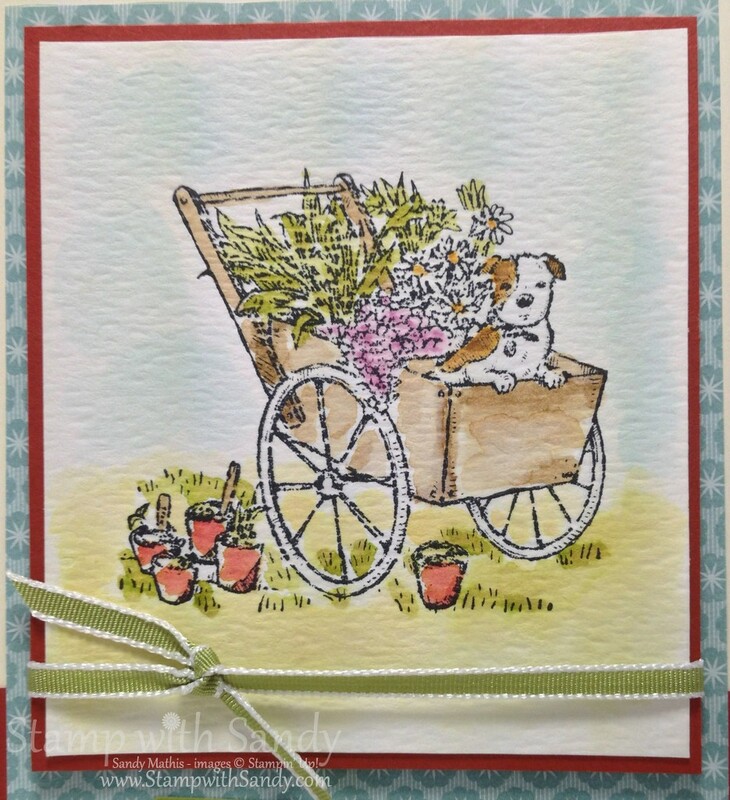 The Summer Holiday theme was the perfect reason to pull out the Summer Afternoon Stamp Set. 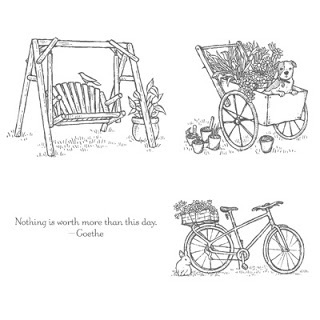 Working in the garden may not be your idea of a holiday, but I love puttering in the garden on a relaxing day off. There is something therapeutic about getting your hands in the dirt, kind of like stamping! Of course, I don't have a cute little puppy to put in my wagon, but my kitty Oreo likes to hide behind plants and then pounce out to try to scare me. He's so silly! This stamp set looks so pretty watercolored, doesn't it? I simply used ink pads and an Aquapainter. The Aquapainter can make anyone look like an artist, which I am not! I like to start out with the ink more diluted for a lighter shade, and then you can go back and highlight shadowy areas with darker, less diluted ink. 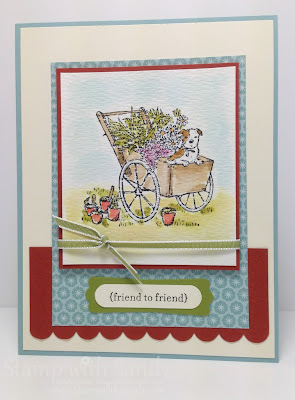 Click here to order Stampin' Up. Thanks for stopping by! We hope you'll play along with us this week at The Paper Players! Love this little image...so stinkin' cute! I love watercoloring and you did an awesome job! 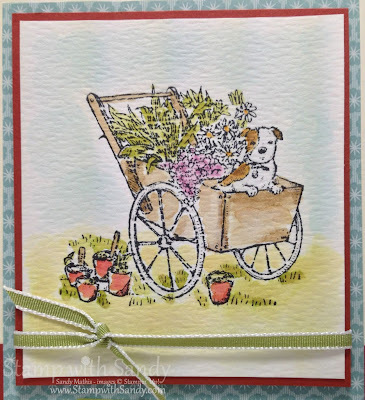 An adorable card, Sandy! Your watercoloring is fabulous! And who can overlook that cute dog! Very pretty, Sandy! You're making me want to watercolor, which I hardly ever do even though I like to. I hope you were able to putter in your garden this weekend. Sandy, I LOVE your perfectly colored image. The whole card has such a summery feel from the colors to the focal image - all round gorgeous!